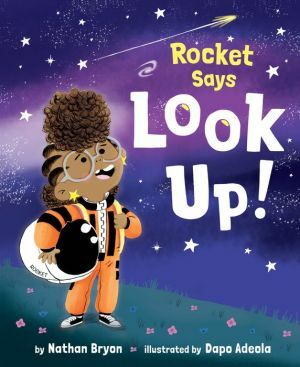 Meet Rocket--a plucky aspiring astronaut intent on getting her community to LOOK UP! from what they're doing and reach for the stars in this auspicious debut picture book. A comet will be visible tonight, and Rocket wants everyone to see it with her--even her big brother, Jamal, whose attention is usually trained on his phone or video games. Rocket's enthusiasm brings neighbors and family together to witness a once-in-a-lifetime sighting. Perfect for fans of Ada Twist, Scientist and young science lovers excited about the 50th anniversary of the moon landing, Look Up! will inspire readers of all ages to dream big as it models Rocket's passion for science and infectious curiosity.